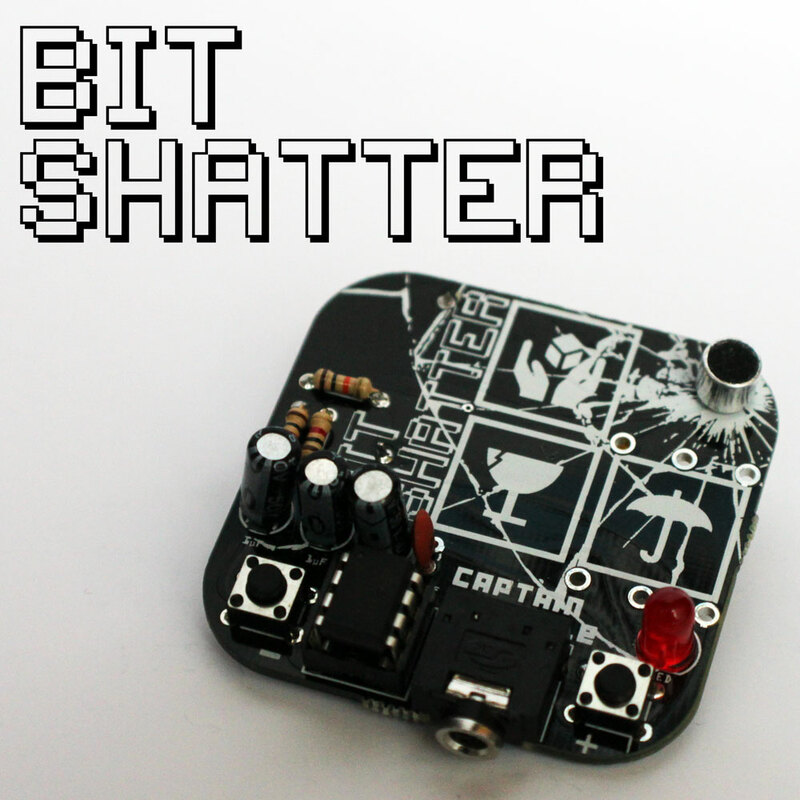 Bit Shatter is a voice changer / pitch shifter based on the ATtiny85 microcontroller, It can pitch your voice up, so you sound like an annoying blue frog, or you can pitch your voice down, making you sound like some kind of enormous mutant space shark, or a friendly demon of the nether realm. It has two pushbuttons (to pitch up or down by incremental steps) and one microphone. The sound is sent out through a 3.5mm headphone jack. This is a suitable circuit for beginners who are learning to solder and Captain Credible will guide you through the build process one step at a time, helping those in need along the way. The whole process takes approximately 1 hour. Once its done just plug your headphones or speaker into the output jack and the Bit Shatter automatically switches on. Speak into the microphone and allow your mind to be blown. The workshop takes approximately 1 hour with little to no prior experience in soldering or electronics. After that you are free to use your bit shatter for whatever you like, annoy your friends, prank call your teacher, communicate with birds, the possibilities are endless. Optionally a 1/4′ input jack can be included to use the device with electric quitars, synths or whatever. This exists as a kit that can be assembled following these instructions, or as an assembled unit.